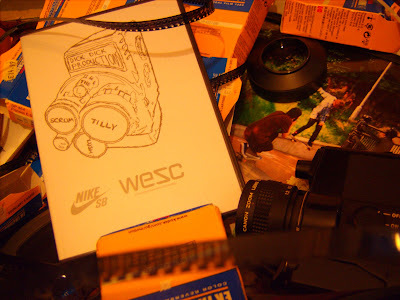 Super 8 + Skateboarding + Europe. I've been working hard over the past two and half years with some fantastic individuals and the great support of Carhartt on a skate photographer documentary called "Format Perspective"
The trailer for the film is below, if you like the look of it take a peep over at the Format Perspective site where you can now order the DVD & Book. 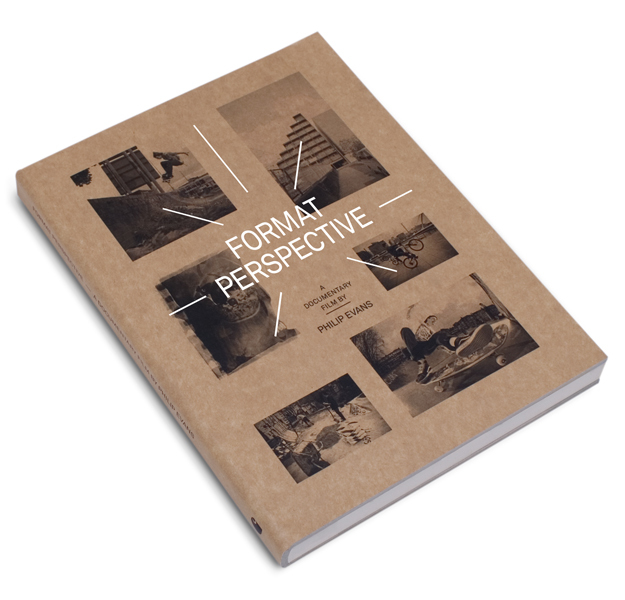 Format Perspective - trailer from Philip Evans on Vimeo. If you are ordering both Format Perspective & The Scrum Tilly Lush then drop me a mail ( aul.pups@gmail.com) and I can work out some cheaper postage for you! I've moved my bloggings and new video happenings over to the human pyramids site over here, so there. 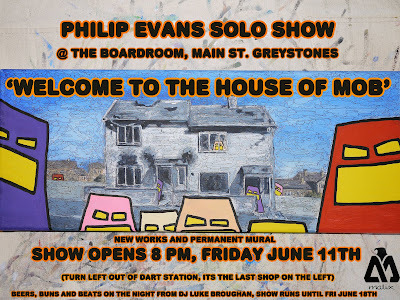 New solo show coming June 11th @ The Boardroom- details above and timelapse video of the mural below! 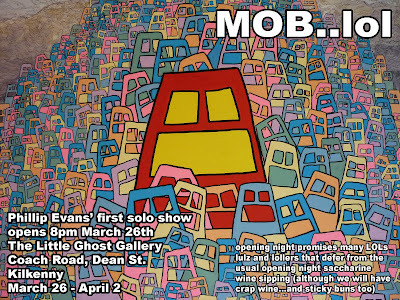 "MOB...LOL" Solo show @ The Little Ghost Gallery, Kilkenny. 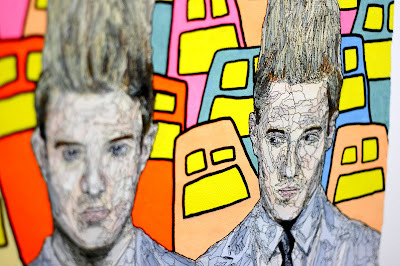 Head on over to the aul blog for a photo blitz of my solo show at The Little Ghost Gallery in Kilkenny City. Getting pretty close to the opening of the show this Friday. Plenty of last minute goings on including a death dodging gerbil who underwent surgery, really! For those thinking of breaking the Friday night habit of a lifetime and not staying in with a footbath, a bottle of plonk and The Late Late Show (doesn't sound too bad actually), well there is an alternative. Place your body in a carraige horse-drawn or not and transport your bad self to the Little Ghost Gallery, Coach Road, Dean Street, Kilkenny. Sure what else have you to do? Oh yeah, the Late Late. Well its me or Ryan Tubridy, they're your only two viable options, choose wisely, but don't choose Ryan, even if he is way better than cyborg phenom Pat Kenny. If I can't convince you then let fresh beats on the night from Luke Broughan sweeten the deal, metaphorically. Not hooked yet? Try Val Kelly's amazing cup cakes, also a deal sweetener, but this time quite literal. If not, then Ben O'Brien's magic interactive props are my last card to play. I suppose I should attach a picture to this post? A post just feels naked without one. Here's one from the vault. A prop by Ben O'Brien that he threw together for a party in me old gaf, warreh champ! Al Collins in Dublin, The Scrum Tilly Lush. Finally here's the final section and final upload from The Scrum Tilly Lush- Al Collins in Dublin. Al's section was done in between all the traveling to and from the other cities involved, therefore his was spread over a relatively longer period of time. As there was more time for his section it was a good opportunity to show a nice wide range of spots and also a nice amount of time lapse photography- most of which involved syncing my alarm with the sunrise, productive days! The section also features Mini Brown, James Carroll, Paddy Clear, Gav Coughlan and Wayne Gallagher. Al Collins in Dublin- The Scrum Tilly Lush. from Philip Evans on Vimeo. The nice people at The Little Ghost Gallery in Kilkenny are doing me the honour of hosting my first solo show on Fri March 26th @ 8 pm. To simply sum up the show its a tongue in cheek look at having to supposedly comply to mob mentality in many aspects of life and society today. I'm going to have a lot of new work on display that I've been flat out on for the last while. As well as that, Bray beat busta Luke Broughan will be providing smoove grooves on the night and also debuting his first album, good show! There's a few extra little treats in store for the night in question to make it different from the usual well trodden opening night stuff, but you'll have to turn up to find out. Speaking of turning up- here is Dean st, Kilkenny. 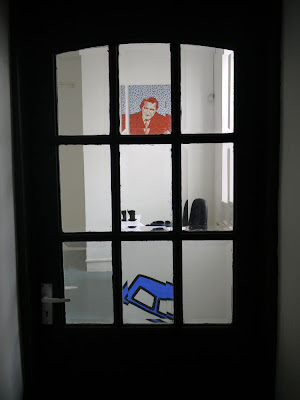 There's lots of accommodation very close to the gallery to suit all. Keep an eye on the other blog for any updates. The DVD is out now! Click the Buy Now button above to securely order The Scrum Tilly Lush. Please ensure full international postal address is filled out. Total cost is €11 including global postage and packaging. Dealer inquiries please e-mail aul.pups@gmail.com Thanks! 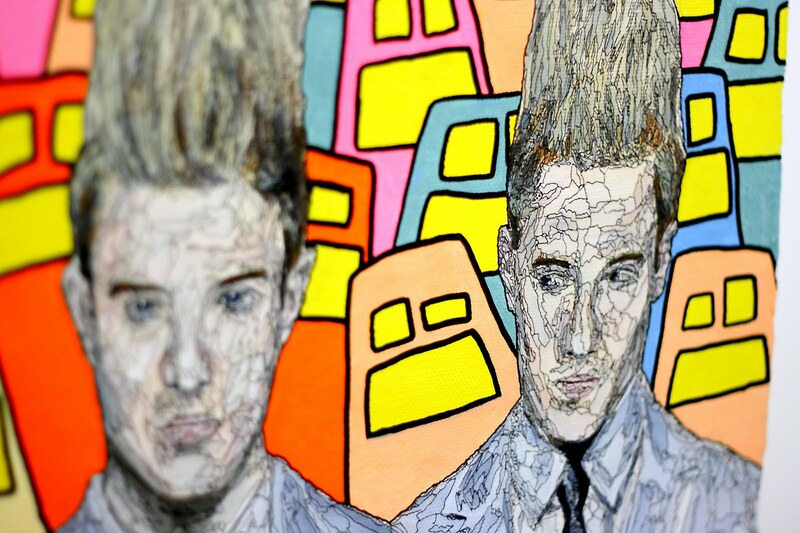 I am an artist based in Bray and a member of the Human Pyramids Artist Collective.